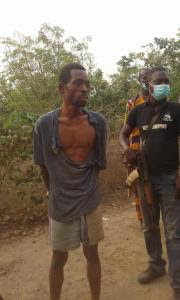 Parading the suspect before newsmen at the scene of the incident, the state commissioner of Police, Ahmed Ilyasu, said the suspect was a driving instructor‎ with Lizzy Driving School, Abeokuta, where the female corper registered to learn driving. 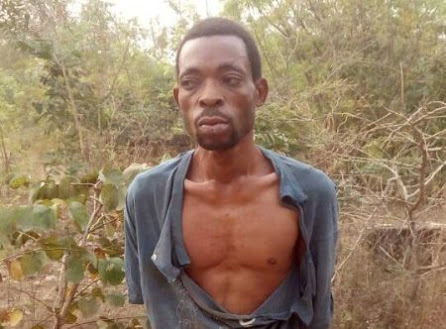 “After I took her to this place, I told her that I wanted to have s*x with her, she said no, but I dragged her into the bush and had s*x with her. 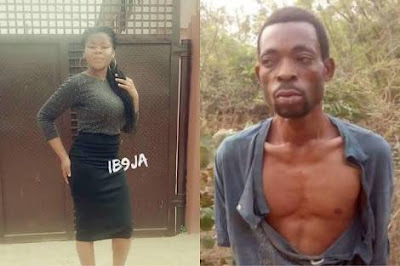 After doing it, she said she will tell her family, that was when I tore her cloth and used it to strangle her neck, as she was gasping, I now ran away,” he said. The man will be charged to court soon.